American government employees are weathering the longest government shutdown in American history, with some employees unable to work during the 24 days the government has been at a budgetary impasse over Trump’s border wall. But roughly 10,000 air traffic controllers are part of the 24,000 employees within the U.S. Federal Aviation Administration whose jobs are considered essential. Air traffic controllers have therefore been forced to continue reporting for duty even though they won’t see a paycheck until the shutdown is over, and even then might not receive back-pay. In a move that would seem to be at odds with Trump’s insular view of the world, at the end of last week, air traffic controllers in Edmonton, Canada sent pizzas to their US counterparts in Anchorage, Alaska. Taking their lead, over the following days, controllers from all seven of Canada’s area control centres sent pizzas to various hubs in the United States including New York, Seattle and Cleveland. Controllers at airports close to the U.S.-Canada border often interact with one another since they share airspace, but the movement has grown to include airports all across the U.S.
“Out of the blue, on Thursday evening, some air traffic controllers in the Edmonton area control centre sent some pizzas to the controllers in Anchorage,” said Peter Duffey, president of the Canadian Air Traffic Control Association. 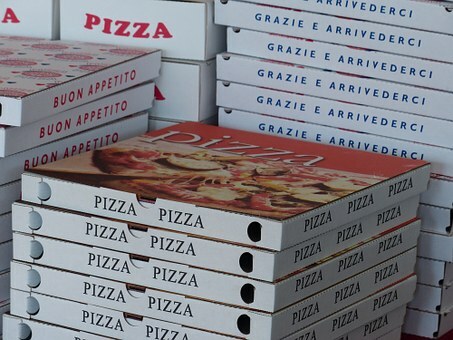 Duffey estimates that as of Sunday afternoon, some 300 pizzas had been received by American controllers. “Right now, we’ve sent pizzas to 40 U.S. facilities and that number continues to climb by the hours,” he said. The contributions of individual workers, many of whom Duffey says have been looking for a way to show solidarity with their American colleagues, have been covering the costs of the pizza and campaigns to supply American controllers with food are ongoing as the shutdown continues. According to CNN, over 350 pizza have so far been sent across the border since Thursday.